The wait for a Dell ultrabook has finally come to an end, as the Dell XPS 13 was formally launched in India earlier today. One of the first things you notice about the Dell XPS 13 is its slim and small profile. While most 13.3-inch laptops have an established sweet spot in terms of their shape and size, the Dell XPS 13 ultrabook manages to house a 13.3-inch LCD widescreen display in a frame that's less wider and deeper than a conventional 13-inch laptop, or even the 13-inch MacBook Air. The 13-inch Dell ultrabook's slightly more thicker than the MacBook Air, but it's noticeably smaller. In fact, the Dell XPS 13’s deceptively smaller with its dimensions and doesn’t feel like a 13-inch notebook at all. It's a noteworthy achievement, making a 13-inch laptop look like a 12-inch one, and Dell is right to make a big deal about it. Even within its counterpart and competitors, the Dell XPS 13 ultrabook deserves special mention in terms of its build and design. 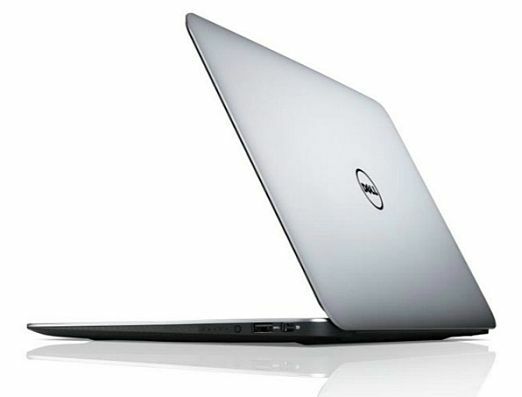 The Dell ultrabook has a metal screen lid and its 13-inch widescreen display has a corning Gorilla Glass layer. Not only this, but the XPS 13's bottom panel is made of carbon fibre -- even the finishing and texture on the bottom panel feels rich and premium. This combination of metal and carbon fibre lends the Dell XPS 13's frame a degree of robustness that defies its super-slim profile. From its hinge design to the overall finish of the ultrabook, the Dell XPS 13 blends attractive looks extremely well with dependable build quality. I ran a few quick performance tests on the machine I played with, which had a Core i5 processor, 4GB of RAM, onboard graphics and a 128 GB SSD. The cold boot time on the Dell XPS 13 was at 10 seconds -- that’s the time taken from pressing the ON button to arriving at the login screen. That’s quick, but not the fastest. Audio from the XPS 13 ultrabook’s onboard speakers wasn’t great but it was quite good given the laptop’s slim profile -- the audio was largely flat but it was clear and without significant distortion at max volume. The laptop’s 13-inch screen is glossy and bright in nature, but it has average viewing angles -- watching movies and video clips for personal entertainment is still good, though. 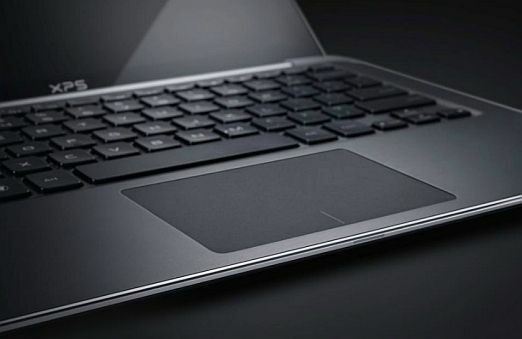 We liked the Dell XPS 13’s keyboard, especially, it sports a key design that’s reminiscent of the Dell Adamo XPS. Very well laid out keys, that feel just right when tapped, and require just the right amount of pressure to register a stroke. Another highlight of the keyboard is that it’s backlit, so great for typing in the dark. It’s definitely a very good keyboard to type on, an accolade usually reserved for Lenovo ThinkPads. The palmrest, like every other ultrabook is a work in progress -- it’s good to use but we aren’t great fans of the combined mouse buttons. They’re difficult to press and deserve to be re-looked. This is a common complaint with most ultrabooks launched and available in India right now. Being a sleek ultraportable, the Dell XPS 13 doesn't sport a whole host of I/O connectivity options -- just the two USB ports (one of which is USB 3.0), combined headphone and mic port, and a mini Display Port. There’s no Gigabit ethernet option or an SD card slot, which was disappointing. We definitely can’t comment on the Dell XPS 13’s battery life right now, but it’s battery compartment is sealed and inaccessible -- like every other ultrabook’s. More on the notebook’s performance when we spend more time on it later this week. But yeah, it sells for around Rs. 80,000, so it isn’t cheap. But it comes with three years warranty with total cover, so that’s quite something we haven’t seen with other ultrabook vendors. Overall first impressions of the Dell XPS 13? 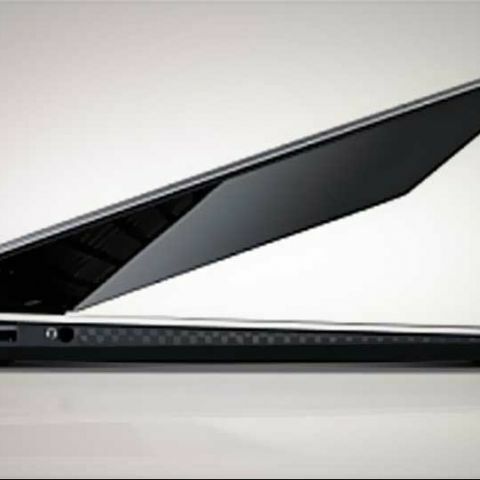 It’s definitely one ultrabook that combines style and design, form and function quite well.